Even the king of the American oil industry is in retreat mode. The crash in oil prices has forced ExxonMobil to slash its capital budget by a stunning $20 billion since it peaked in 2013. That represents a 46% decline and shows how oil companies are weathering the oil storm by ditching expensive investments to preserve cash. "It's a sign of the times. Lower prices and weakened cash flow is impacting all companies -- even ExxonMobil," said Brian Youngberg, senior analyst at Edward Jones. Exxon (XOM) suffered a 50% plunge in profits in 2015 as oil prices continued to tumble. The struggles show that while Exxon is more insulated from the oil crash than less diversified companies, it remains under pressure. Standard & Poor's even recently threatened to yank ExxonMobil's perfect AAA credit rating. 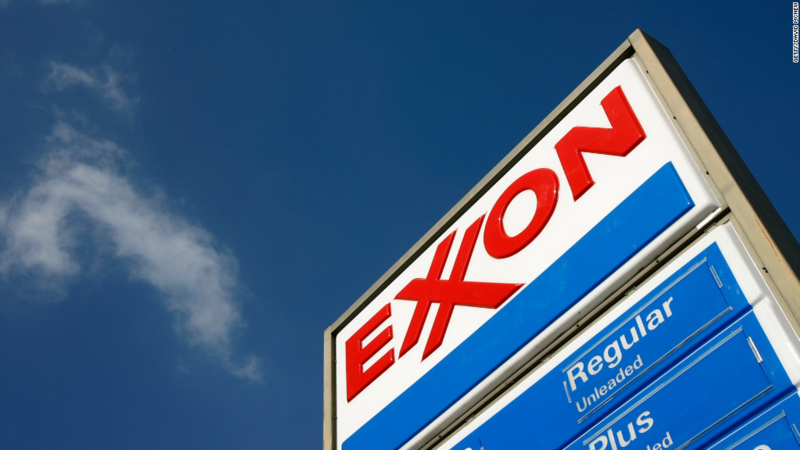 It's no wonder Exxon said on Wednesday it's planning to spend "only" $23 billion in 2016. That's down by 25% from last year's capital budget of $31 billion. The "capex" cuts are in line with similar ones made in recent months by Chevron (CVX), BP (BP) and other major oil companies. It's part of a broader trend. Exploration and production spending plunged by $250 billion in 2015 and is expected to drop by another $70 billion this year, according to Rystad Energy. Exxon's stock is down by 22% since peaking in July 2014, even though it has rebounded significantly in recent weeks thanks to stabilizing oil prices. Given the dramatic decline in oil prices, Exxon said it's choosing to only "selectively" invest in the business. Exxon also said it has the "financial flexibility to pursue attractive opportunities." That sounds like code for keeping its powder dry for potential acquisitions. It's easy to see how the oil crash will force distressed companies to consider potential fire sales to Big Oil. The elephant in the room is Exxon's coveted dividend. Investors rely on Exxon's fat dividend as a reliable income stream. The energy giant has increased its payout for 33 straight years, including even last year. But Big Oil's dividends are no longer untouchable. Last month ConocoPhillips (COP) slashed its dividend by two-thirds, becoming the first big American producer to do so. Exxon has signaled its dividend is safe, but the pressure is clearly on. For the first time in 15 years Exxon has stopped buying back stock to return cash to shareholders. Don't be surprised if Exxon has to cut capital spending further to protect the dividend. "They normally invest consistently through the cycle, but these are extraordinary times," said Youngberg.